Since carpeting is one of the bigger investments in your home, it is important to make sure that they last a long time. Regular professional carpet cleaning is the key to ensuring that they last. Cleaning only when it looks dirty or when relatives are scheduled to visit is not in your best interest. You can gain an advantage by having your carpeting cleaned before winter. Here’s why. In the summer time, and even into the fall, you and your family will spend a lot of time outdoors. A typical carpet cleaning will take a few hours and, including drying time, may take anywhere from eight to ten hours, which depends on a variety of factors. It is much easier in the summer time to leave and be out of the house for that amount of time while a professional carpet cleaning service gets the job done. One of the key things that a carpet cleaning service does is to remove all sorts of pollutants from your carpeting. Dust mites, pet dander, and other allergens will get trapped within the fibers of your carpeting. Those pollutants get disturbed when walking around inside your home and then enter the indoor air. Inhaling these particles can affect allergies and make life miserable. Carpet cleaning will remove these pollutants and do so before you are forced to be inside your home most of the time during the winter months. Contrary to what many may believe, your carpeting can actually stay cleaner in the winter. Having such cleaning done before winter and then continuing regular carpet maintenance removes all of the pollutants from the fibers within your carpeting. In the winter time, with all of your windows and doors closed for the season, dust, pollen, and other allergens have less of a chance to enter your home. 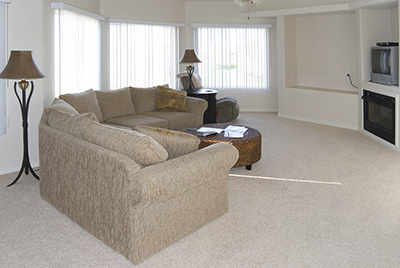 Your carpet’s filtering ability will not become overloaded and it will remain cleaner during the winter season.